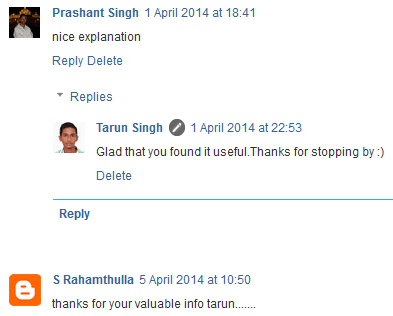 Hey there, this is Tarun Singh and thank you for checking out my About page. I am a computer engineering student and a passionate blogger from Delhi, India. I write about everything under the sun. But most of the time, the blog posts are about online shopping, deals and offers. You may be wondering the reason behind the blog’s name. You may be thinking why is it ‘I M Tarun Singh’ when it can be ‘I Am Tarun Singh’. Actually, when I started this blog, I was reading all about Internet Marketing so I started this blog and chose this name which stands for ‘Internet Marketer Tarun Singh’. I like to help the blog readers in purchasing the best product for them. You may be thinking why would I do it. Actually, the first product which I tried to research on the Internet was a laptop. I started searching for the best gaming laptop in India around 35K. I was not able to find a website or blog to help me with my laptop buying decision. Finally, the reviews at Flipkart helped me in buying HP Pavilion G6 2005 AX. I got my HP laptop in October 2012. I started blogging in December 2012. However, I was blogging about software and e-book downloads. Soon I realised my mistake and started this blog on domain www.imtarunsingh.blogspot.in in June 2013. When I started this blog, I had no target or goal in my mind. I just wanted to share my views with the world. My first blog post was on the day of the launch of Amazon in India. What a great coincidence. So my first blog post was Yippee, Amazon Launches in India Today! On 27th December 2013, I bought the domain name www.imtarunsingh.net from Bigrock. I was slowly writing on the blog when I got to know about IndiBlogger. I started participating in their contests and attending events. I have made many blogger friends through this blogger community. The blog post which started helping people was 10 Best 1 TB External Hard Disks in India. It still helps people in buying the best external hard disk for them. Although I originally wrote in the December holidays of 2013, I update it regularly to make sure that it stays that way. You can see in the screenshot that many readers thanked me for the blog post. Then I started to make sure that each blog post of mine gave massive value to my blog readers. Then I wrote a blog post about the 10 Best In-Ear Headphones Under Rs.1000 in India. This blog post proved to be a turning point in my blogging journey. It skyrocketed my blog traffic. It still is the best blog post in terms of traffic. From there on, many blogs have copied written about it. It is also updated regularly. Since then, I have written many helpful blog posts. One of them is Top 10 Best Beard Trimmers for Men in India. It helps readers in buying the most important grooming product in their arsenal. I have got many thanks for this blog post too. Guess what is the similarity between all blog posts. They help people in their buying decision. How I got the idea for these blog posts? Simple. When I wanted to buy an external hard disk, in-ear headphone or trimmer, I did not find a single guide to buy the best product. So I created one. Most of the other sites just list the bestseller products in a hurry. Always remember: “A bestseller product is not always the best, and the best product is not always a bestseller”. So I always take the specifications, reviews, recommendations, etc to find the best product. 1) Apple MD101HN/A MacBook Pro – Yes, I upgraded from HP to Apple 🙂 Although I still use HP when I need Windows. Besides blogging, I like quizzing, playing badminton, watching movies, playing video games, etc. When I am not doing all of these things, I may be found studying for engineering exams. I have also launched OfferSutra along with my 2 friends, Ashutosh and Shubham. My brother also got motivated by me and started www.imsunilsingh.net.